A record number of women tossed their hats into 2018’s midterm elections. This election cycle saw 276 women on the ballot for House, Senate and governorships. Numbers are still coming in, but the majority of women headed to Capitol Hill are Democrats. A record-breaking number of women ran for Congress in 2018’s midterm elections, and while not all of them succeeded, females broke barriers across the aisle and are sending more than 100 women to Capitol Hill in January. This election cycle saw 276 women on the ballot for House, Senate and governor positions out of an astounding 539 women who ran or said they’d run for the positions, according to the Center for American Women and Politics (CAWP) at Rutgers. While numbers are still coming in, as of Wednesday morning, 115 women won their respective elections or re-elections, joining the 10 women in the Senate who were not up for election this cycle. The House saw the largest influx of female representatives, as 95 women were declared winners as of Wednesday, surpassing the current record of 84 female-filled seats. In the Senate, 11 women won their elections while nine women won their gubernatorial races. 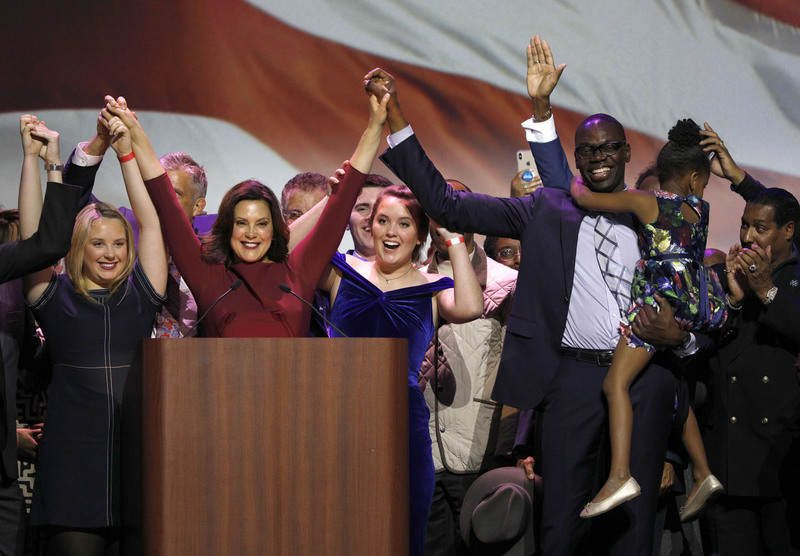 Of the nine women who won governorships, four of them were incumbent governors who held onto their seats: Alabama Republican Kay Ivey, Iowa Republican Kim Reynolds, Rhode Island Democrat Gina Raimondo and Oregon Democrat Kate Brown. Women were newly elected in Michigan, South Dakota, New Mexico, Kansas and Maine. Marsha Blackburn, a Republican, became Tennessee’s first female senator. South Dakota and Maine elected their first female governors, Republican Kristi Noem and Democrat Janet Mills, respectively. Nevada now has two female senators after Democrat Jacky Rosen ousted incumbent GOP Sen. Dean Heller, joining California, Minnesota, New Hampshire and Washington in a list of states where both senators are women. Women of color, specifically, had a strong showing in this year’s midterms, with 40 women of color moving into the House, up from the current number of 38. 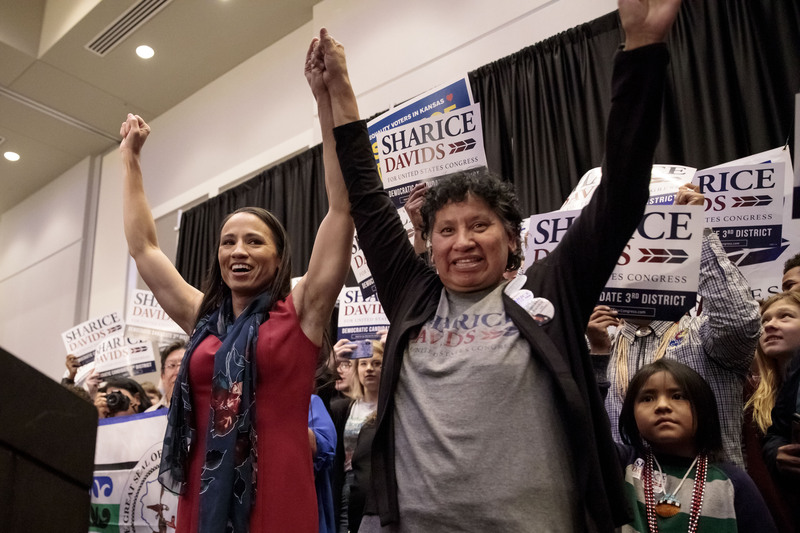 Sharice Davids, a member of the Ho-Chunk Nation, became Kansas’ first Native American as well as the state’s first openly LGBT Congresswoman. Part of this female-driven takeover is believed to be fueled by President Donald Trump’s rhetoric and history with women, as well as national conversations like the #MeToo movement. “Democratic women in particular and independent women, progressive women, upscale suburban women were clearly energized by the Trump victory and the Trump presidency in a negative way,” Democratic pollster Celinda Lake told Bloomberg. 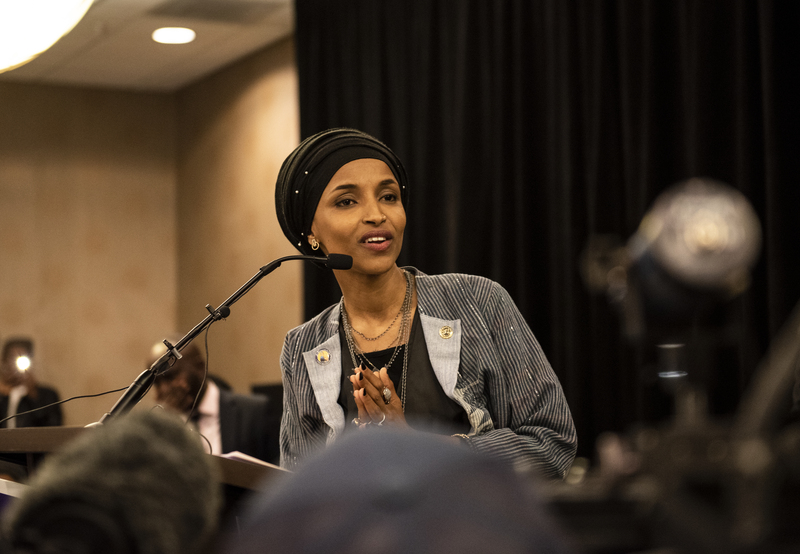 The surge of female politicians paves the way for a potential shift in the legislative landscape in the future, as the majority of newly elected women are Democrats. Significantly more women are registered to vote than men, and women tend to turn up at the polls more than men. There’s also been a gender gap in every midterm election since 2006 and every presidential election since 1980, according to CAWP. Men were 11 percentage points more likely than women to vote for Trump in 2016.